As a baseball fan who lives in the Midwest, I know that there area few months of the long baseball season where sitting through a 3 hour game is not all sunshine and cold beers. 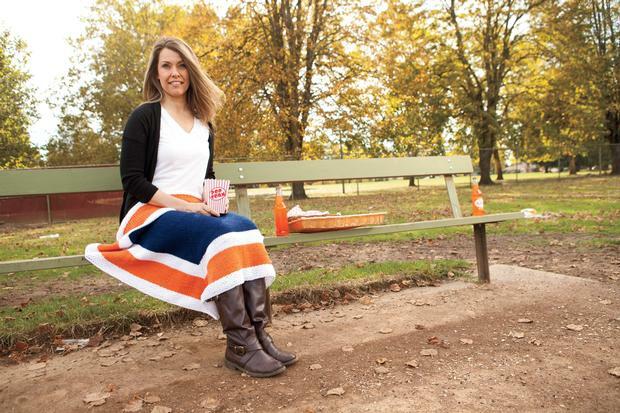 April and May baseball games are cold, and bundling up like you are going on a ski trip is necessary. 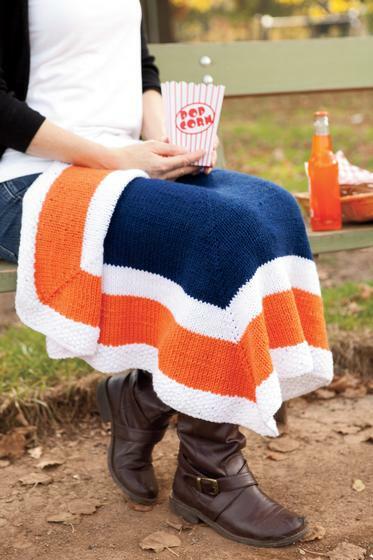 That is where this fun Stadium Blanket comes in! 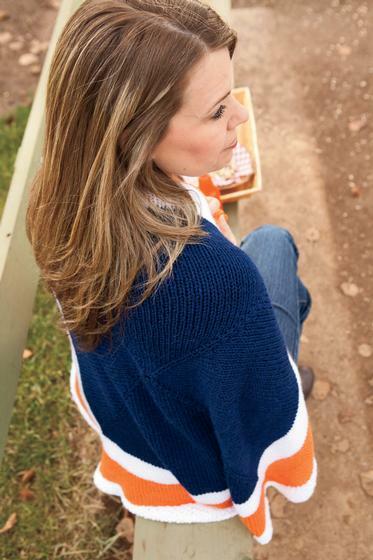 Its small enough to pack in your bag, but all that knit blanket warmth will keep even a fair weather fan happy through the 9th inning. 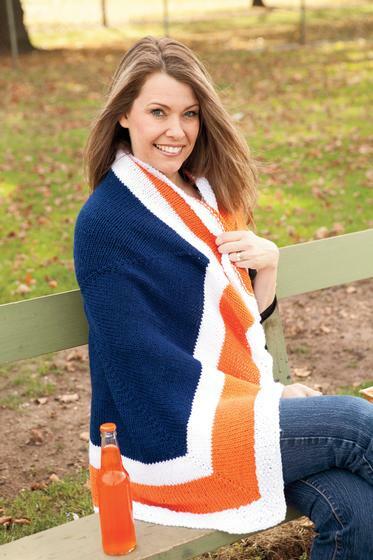 Customize this three color blanket to match your teams colors and knit one for your whole family.